I can honestly say that Rayman Legends is the most fun I’ve had platforming in a very long time. The game’s impossible to put down gameplay really does give the Big N and their Mario goodness a quality ‘run for its money’. If you’re looking for something to play that requires no more than a desire to have fun then you can’t afford to pass this one up. 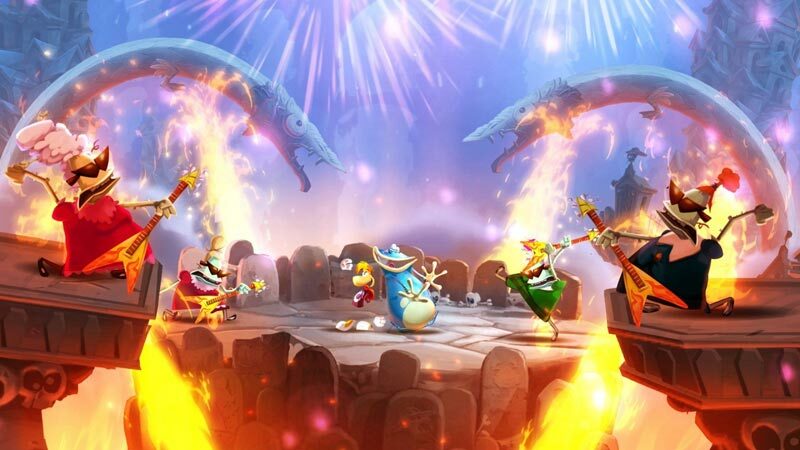 Rayman Legends is a great game that you will be hard pressed not to like. 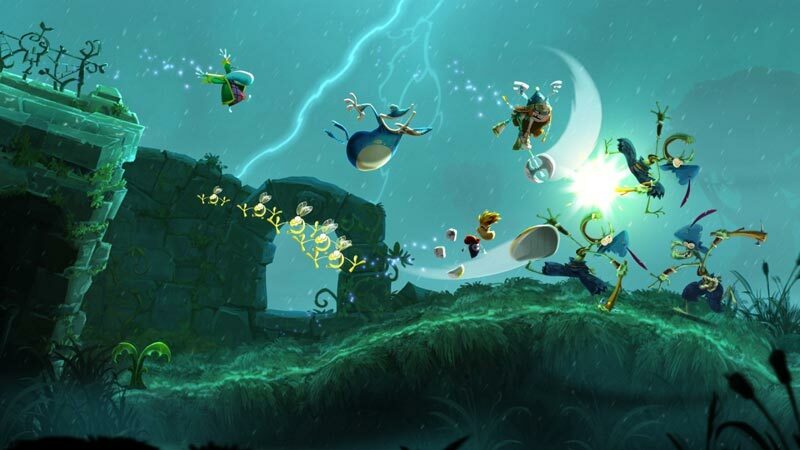 With easy controls, great graphics, and some of the best level design out there – Rayman Legends deserves to be played. Although it’s missing a few levels from the other versions (whichhave been confirmed as coming later), it’s still one of the best versions to get. If they added online multiplayer (infrastructure mode), they could really bring it to the next level – but any fan of the Rayman series should grab this one as they shouldn’t be disappointed. Origins had the distinction of being one of the best-looking, best-playing 2D platformers of this generation, and Legends somehow manages to be even more masterful in its execution. This is one of those games that's so terrifically crafted, so effervescently energetic, so beautifully, colorfully drawn, that it's genuinely difficult to come up with legitimate caveats to possibly dissuade anyone from it. So I won't even try. Just play Rayman Legends. You won't regret it. Unfortunately, we were unable to test the co-op multiplayer portion of the game, as it just hit shelves today, but the single-player portion delivers on all fronts, with captivating graphics, excellent music and enough content to keep this in your Vita for quite a while. 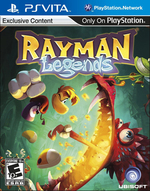 If you think highly of Rayman Origins, Legends is an essential purchase. As with Sonic’s latter day highlights, its bounce pads, ropes and doohickeys are placed so that if you stop thinking and trust the game to hurl you forwards, you get an incredible rush of not knowing how you cleared the last 30 seconds because it happened quicker than your fast twitch fibres can react to. The company might not be stellar, but the journey is just that. Like visiting the seven wonders of the world… with Joey Essex. If you only have a PS Vita, then it's definitely worth picking up Rayman Legends for the handheld - it's still a fantastic game. It's just a shame that sub-optimal porting has taken the sheen off this platforming gem. While the Vita version of Rayman Legends is inferior to the rest, it's still a highly enjoyable platforming romp. 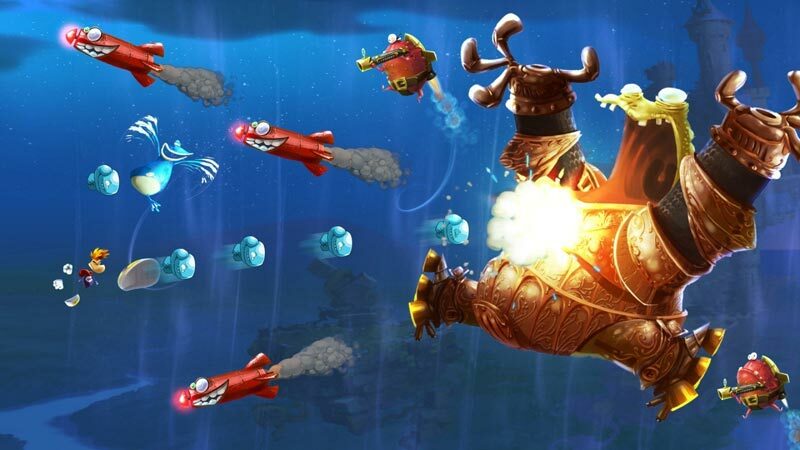 Rayman Legends convierte en leyenda la jugabilidad del anterior juego, mejorando aspectos como la variedad, la duración y hasta la dificultad. Un título que añade fases musicales y jefes finales a la propuesta, pero sobre todo unas mecánicas plataformeras mejor ajustadas, que en esta ocasión se valen de la tecnología Ubi Art para acercarnos escenarios y personajes 3D dentro de un sistema de juego 2D. Michel Ancel y compañía pueden sentirse orgullosos. 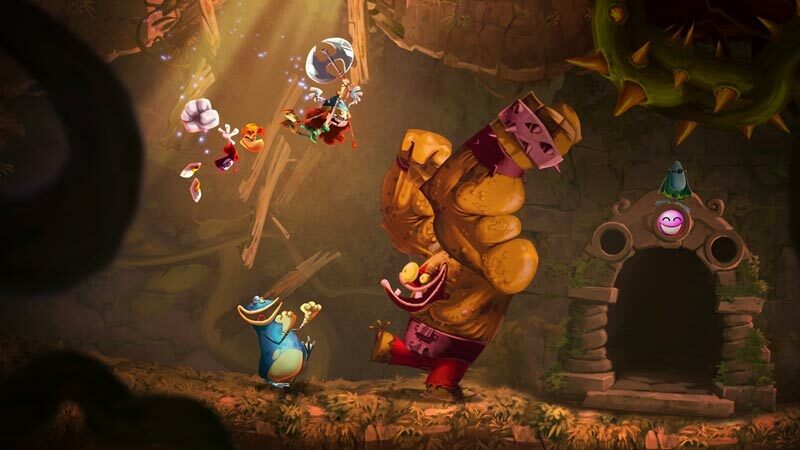 Este Rayman es su mejor creación en mucho tiempo, un videojuego con humor y diversión por igual para todas las plataformas. Auch die lange Wartezeit hat dem Spiel offenbar gut getan. Die Abschnitte sind bemerkenswert gut ausbalanciert – frustige Bosskämpfe oder Fluchtsequenzen tauchen diesmal nicht auf. Trotzdem gibt es knallharte Herausforderungen für Profis – schade, dass einige davon auf der Vita vorerst gestrichen wurden. Schade auch, dass die Figuren nur wenige Fähigkeiten beherrschen und der Koop-Modus nur noch zu zweit funktioniert. Malgré des temps de chargement un poil plus long que sur les autres plateformes, Rayman Legends propose un gameplay tactile parfaitement adapté à la console portable de Sony, et on notera juste quelques rares soucis avec le gyroscope ainsi qu'une IA parfois capricieuse. On appréciera en revanche la possibilité de jouer à deux avec un gameplay asymétrique, l'un utilisant le tactile, l'autre un contrôle traditionnel. 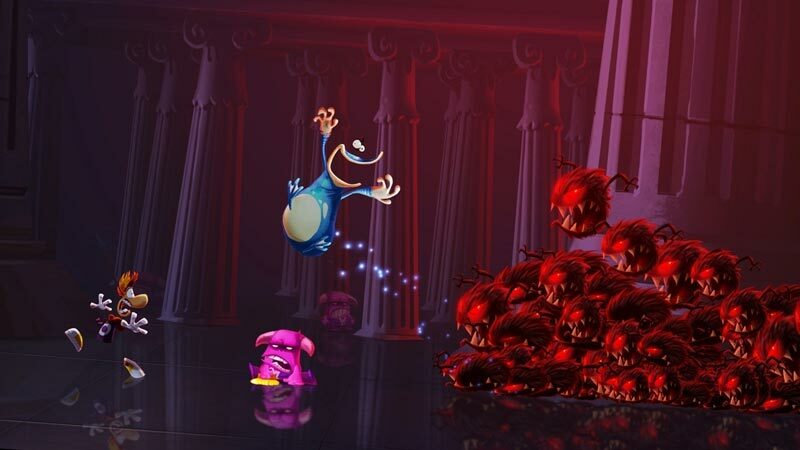 Se volete un gioco bello da vedere, appassionante da giocare (anche se il ritmo dettato dal continuo alternarsi tra parti classiche ed endless run è un po’ stucchevole), pieno di sfide e perfetto per le partite in movimento, allora Rayman Legends fa per voi. 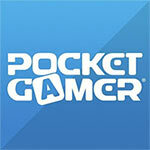 Anche questa volta l’hardware di PS Vita viene sfruttato a dovere e quando arriverà la tanto sospirata patch che andrà a colmare la lacuna dei livelli mancanti, allora non ci saranno motivi per lamentarsi. 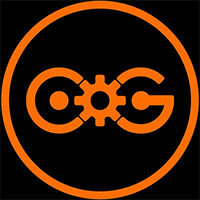 Chi deciderà di acquistare la versione PS Vita dovrà quindi sì passare sopra qualche lieve difetto, ma potrà anche godere di uno dei migliori (se non il migliore) platform degli ultimi anni e potrà giocarlo dovunque e in ogni momento, in una incarnazione che non ha nulla da invidiare alle altre versioni. Intinya, Rayman Legends terbukti bisa menjadi game yang bisa dimainkan oleh siapa saja tanpa pandang usia dan gender. Game ini juga sangat ramah ruang keluarga karena bisa dimainkan oleh banyak orang sekaligus. Seandainya saya tidak terikat peraturan dari Games in Asia yang melarang saya untuk memberikan nilai seenaknya, mungkin saja nilai seperti inilah yang akan kamu lihat pada review ini. Sayangnya saya terikat oleh batasan yang memang masuk akal sih, jadi saya rasa nilai maksimal adalah nilai yang pantas diterima oleh game seperti Rayman Legends.